While Phuket Island is known for having some of the most beautiful tropical holiday beaches in the world, there’s something endlessly appealing about also being able to swim in a crystal freshwater pool. For the ultimate in luxury, many resorts are building private pools for each villa for a combination of privacy and convenience that it’s hard not to love. 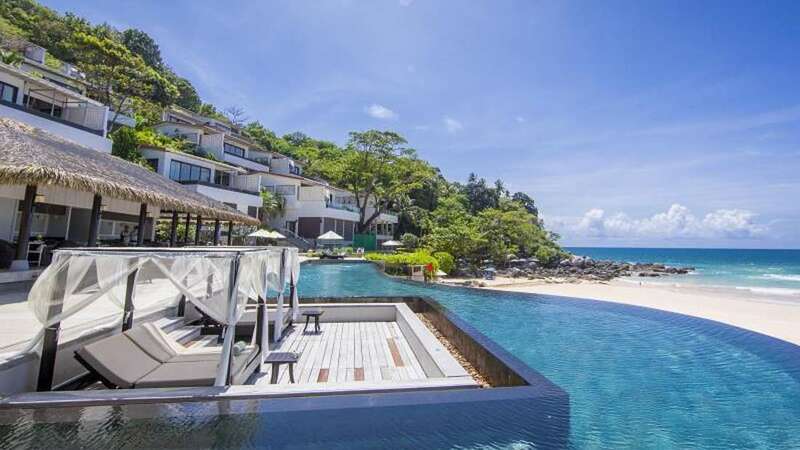 Not surprisingly, most of the best and highest rated Phuket resorts have pool villas, not even counting the many that offer a private pool with their best one or two suites. The good news is that the best of these resorts are a mix of beachfront locations and gorgeous hillside locations, so you can choose the style that fits you best. Arguably Phuket’s finest resort of any type, the Trisara Hotel has 39 ultra-luxury private villas, each with its own infinity pool. It’s located on a stunning hillside in the northern part of the island, where things are quiet and relaxed, and each villa has an amazing sea view. The Trisara is 5-star-deluxe throughout, with even the smallest of the pool villas being very large. They go all the way up to 6 bedrooms in the Residences section, and the larger villas have a full kitchen and even a full time dedicated cook and housekeeper. 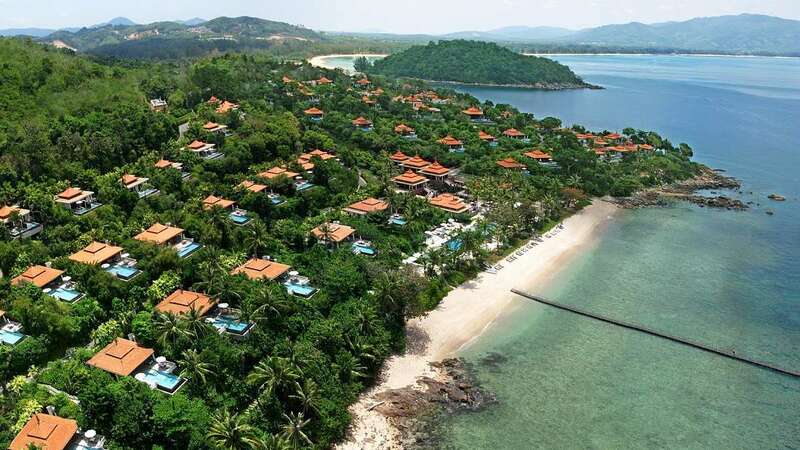 Reviews are exceptional across the board for this resort, with really the only issue being that it’s also among the most expensive hotels on Phuket. For those who can afford it, this one can’t be beat. 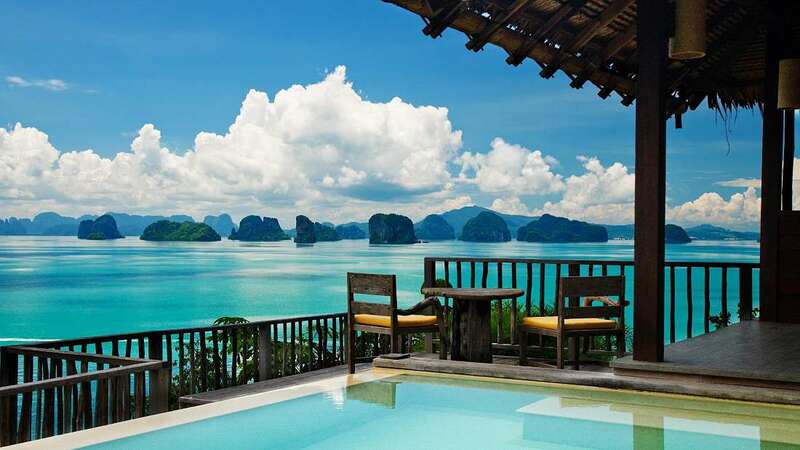 A very special resort that is particularly popular with honeymoon couples, the Six Senses Yao Noi has 56 pool villas in a gorgeous setting on a smaller island just off Phuket itself. Like the other Six Senses resorts around the world, this one has a unique design to its rooms that is mostly open-air, so the tropical breezes keep guests comfortable when they are outside of the air conditioned bedroom area. The pool villas here come with either 1, 2, or 4 bedrooms, and all have a large private terrace set up for al fresco dining. Of course the resort also has a few restaurants and lounges and an excellent spa, plus a private beach out in front, so everything feels spread out and relaxed even when it’s full. Guest reviews are stellar, with many claiming it’s the best resort they’ve ever seen, so it does get booked up before many of the others. 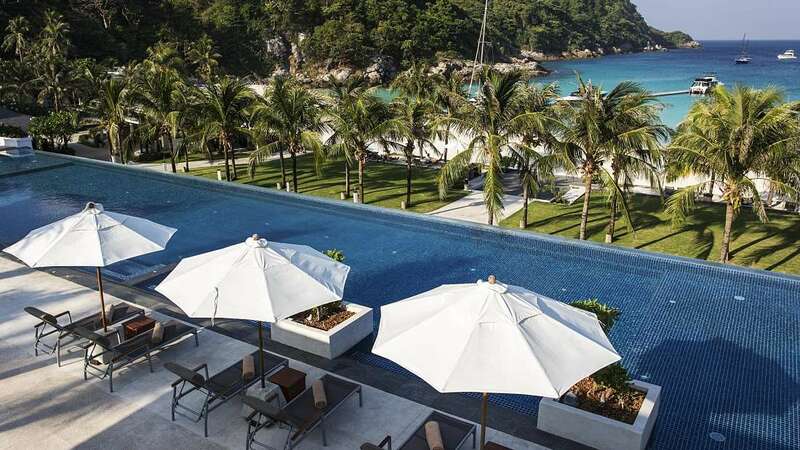 Another high-rated resort that is on an island off Phuket itself, the Racha Hotel has 85 beach villas, most of which have their own infinity pools, and some that have two. Each villa is quite large, with 5-star amenities such as outdoor rain showers and iPods with Bose sound systems. There’s a lovely beach just out front, for those already tired of having a private pool. This resort has 5 restaurants, bars, and lounges, plus a spa, a yoga center, and a long list of water sports including scuba diving. There’s no Kids Club so it’s most popular with adults, but the larger villas are plenty big enough for a family. And again, reviews for this one are very strong so it tends to fill up before many of the others in the 5-star category on Phuket. With 52 pool suites and villas spread over a beautiful hilltop location, the Sri Panwa Phuket Resort is another ideal choice for those looking for private swimming pools. This is another that is toward the upper end of the 5-star scale on Phuket, with amenities including premium linens and a state of the art sound system with an iPod loaded with tunes. The resort also has a large pool club at its center, with a variety of dining and lounging experiences within. There’s also a private beach below and a common beach pool, as well as tennis courts, a deluxe spa, a yoga center, a fitness center and even cooking classes. While it’s not cheap, the Sri Panwa Resort does offer fantastic value with so many extra features and services on top of the large pool villas, and reviews are extremely solid as well. Very popular with honeymooners and romantic couples, the Shore at Katathani Resort has 48 large pool villas overlooking a quiet corner of a sandy beach. The private pools are quite large and are surrounded by a sundeck, so each unit has an abundance of outdoor space in addition to the large interiors. 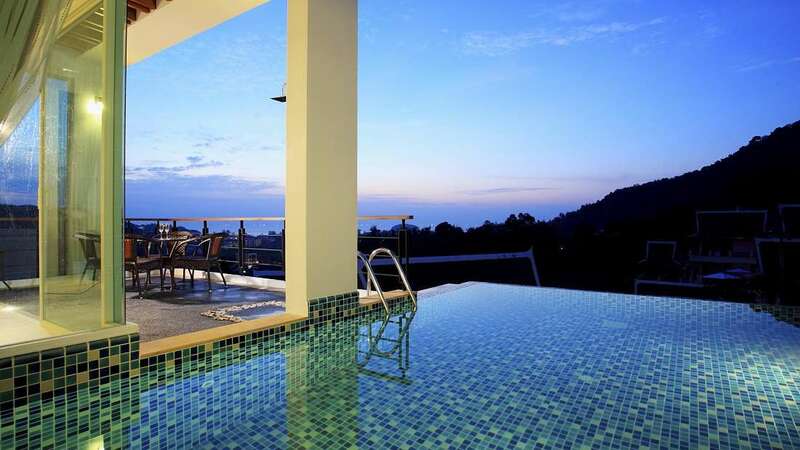 The location not too far north of the nightlife district of Patong Beach means that this is an ideal choice for those who want to mix some shopping, dining, and nightlife in with their poolside relaxing. There’s a top-rated restaurant and a lounge on site, and other interesting choices nearby as well. This is another that offers excellent value in the 5-star category with tennis courts, yoga classes, a fitness center, and even golf putting greens. 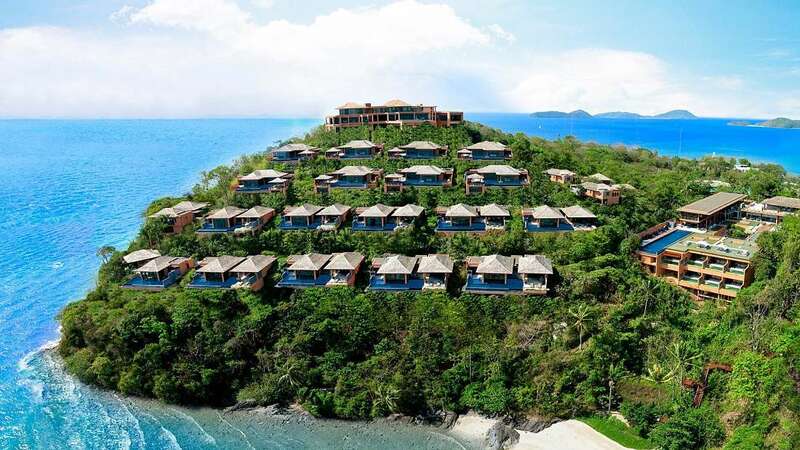 By some measures this is the best-reviewed resort in Phuket, so early booking for high season is recommended. 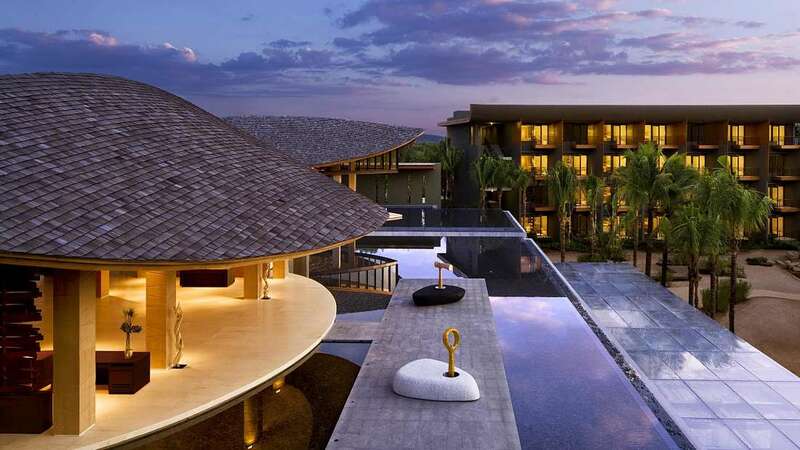 The most modestly priced of the pool-villa resorts, the Renaissance Phuket Resort and Spa has 180 rooms that include 1-bedroom and 3-bedroom pool villas, as well as the Deluxe Rooms that share a common pool. This is part of the Marriott Hotels family, so even with moderate prices you know you’ll be getting professional service at an international level. The Renaissance is a very good choice for families since it has a full Kids Club and other activities for children, and menus at its restaurants that are child-friendly. During high season the room rates here are still in the lower portion of the 5-star category, but in the low season the rates are phenomenal so this should be one of the first to be considered. One of the most famous and most luxurious resorts on Phuket, the Banyan Tree Resort has 135 villas, most of which have private pools. It’s part of the upscale Laguna Phuket project where the 9 resorts within allow guests to use the facilities at all of them, so it’s like a super resort with a large beach front and a championship golf course. The smallest category are the Deluxe Villas and those don’t have a private pool, though they do have a large outdoor tub and jet pool. All the rest are even larger and have their own pool along with all the 5-star amenities you could hope for. There’s a common outdoor pool and a beach to go along with the fitness pavilion, spa, and Turtle Club for children. 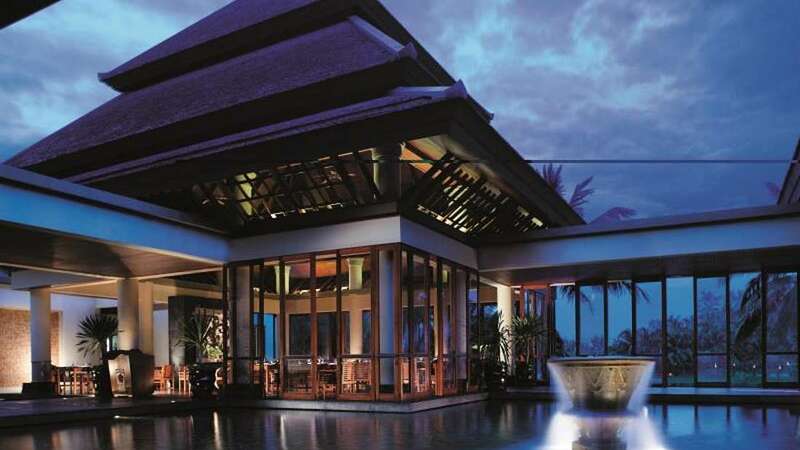 The Banyan Tree Resort has many guests who return each year so it is yet another that often gets booked up before most others in its class. With a hilltop location near the center of the island, the Villa Zolitude Resort & Spa is a different sort of hotel compared to the others on this list. 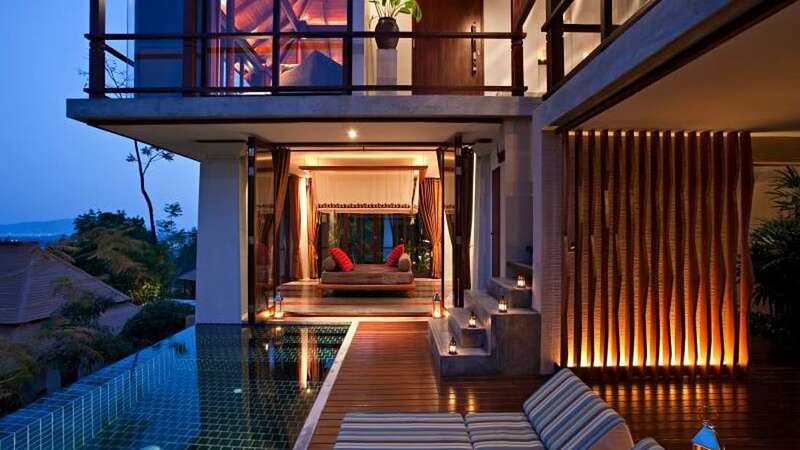 It has 45 large villas with private pools in a serene setting far from the hustle and bustle of the beach communities. This place is all about romance and relaxation, and it’s nicely spread out so that it never feels crowded even when totally booked up. The villas here come in four different classes, all the way up to 4-bedoom villas that are easily large enough for families or groups, but it’s mostly a couples resort with an excellent spa. There’s also a common swimming pool plus a library and cooking classes, and getting into Phuket Town or Patong doesn’t take long for those who prefer to do so. The low season rates here are excellent value, so it’s especially worth a look outside of the high season. 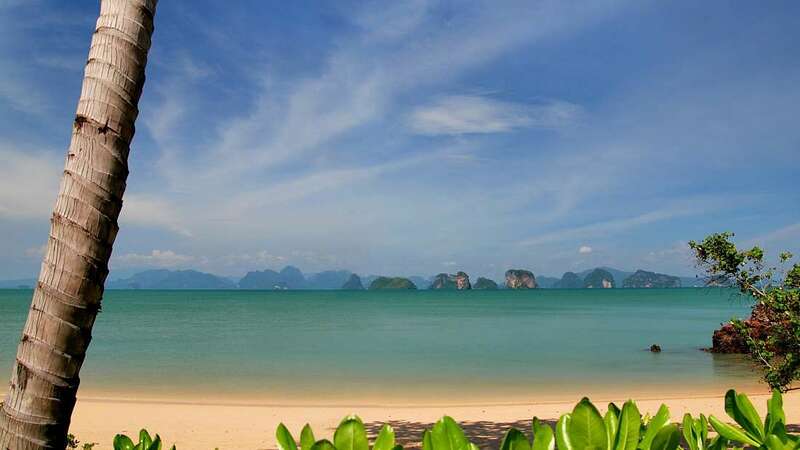 A very small resort with only 5 villas to choose from, Kata Sea View Villas is the perfect place for a solitude filled vacation that you can enjoy with close friends or family members. Here you’ll have your own ‘house’ instead of just a room, great for those traveling in groups that rather board together than stay in separate rooms or resorts. Each villa here comes with 4 bedrooms, a living room, full kitchen with all the amenities needed and a dining room. You’ll also find your own pool to enjoy, complete with a surrounding deck and sun loungers. Due to the small size of the resort, there aren’t any restaurants or bars on-site, but you are privy to your own private chef, so there really isn’t any need to eat out. There are several places around town to choose from however along with attractions and activities nearby. An added feature is the on-site babysitting, great for families with small children who are looking for a few hours of alone time.